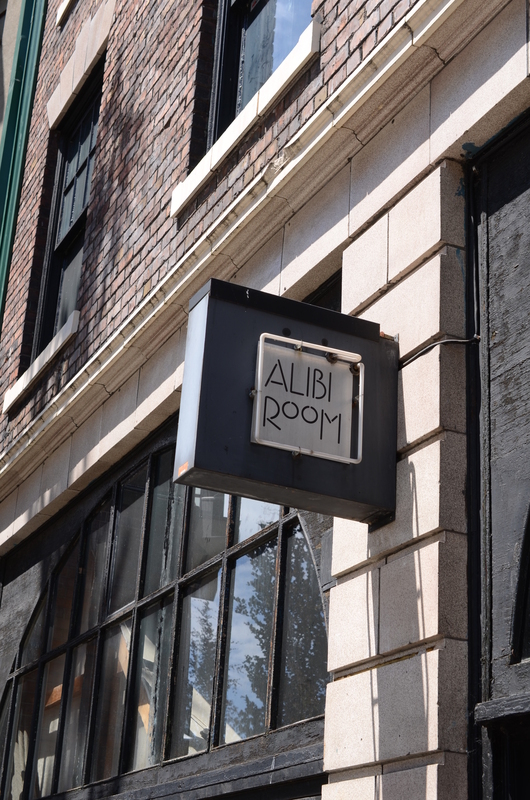 Alibi Room is another craft beer mecca in Vancouver’s Gastown neighbourhood, and is the top dog in my opinion. 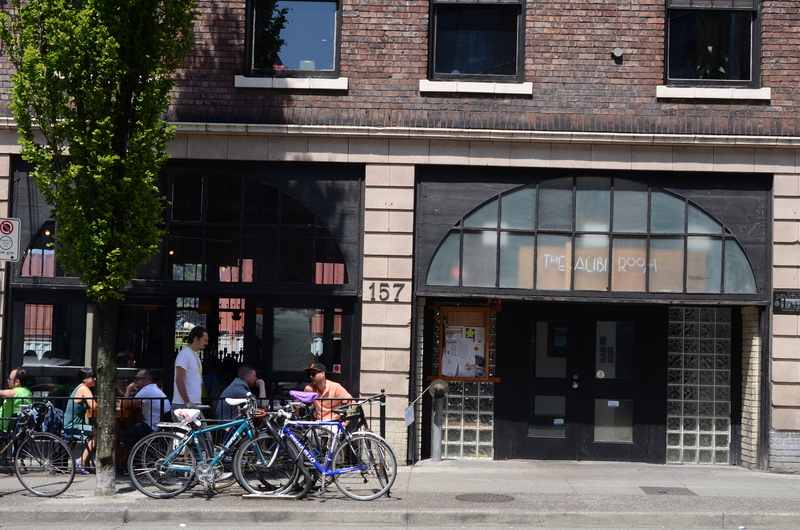 With a massive tap list that is constantly rotating through a selection amazing regional and often exclusive craft beers, Alibi Room is a can’t miss when trolling for great craft beer spots in the area. Alibi has long been a “go to” spot for me over the years, though oddly enough I’ve only eaten there a few times. This isn’t saying the menu should be overlooked, because what I have had has been consistently delicious. Some favourites of mine, are the chicken wings, the fries and their killer burger. But this time on a recommendation from a good friend, I was in for brunch to try the bacon, fried egg and tomato breakfast sandwich. This sandwich is a simple beauty, with thick slices of back bacon, fried egg, roma tomatoes and mayo on fresh sourdough toast. What more do you need in a breakfast sandwich really? 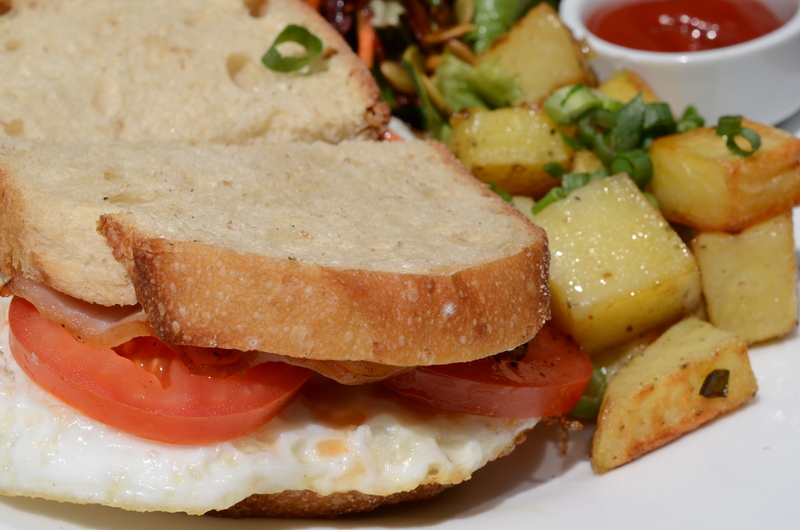 The back bacon is crispy but tender with great saltiness, the over easy egg oozes with runny yolk as you bite in and the fresh slices of tomato are juicy and add a nice cool element to the sandwich. The toasted sourdough is crusty and still soft while holding everything together. Breakfast sandwiches are the best and this one is just perfect! What beer goes best with a breakfast sandwich? Well, lucky for me I was at Alibi Room during Vancouver Craft Beer Week which meant their already amazing tap list was even better. Now, a few days earlier in the week Alibi had a tap takeover by The Commons brewery from Portland. Once I saw that they were still pouring The Commons brews, I knew one of them would be my choice. After tasting a few and some discussion with bartender and beer pairing expert Alex, the choice was made. 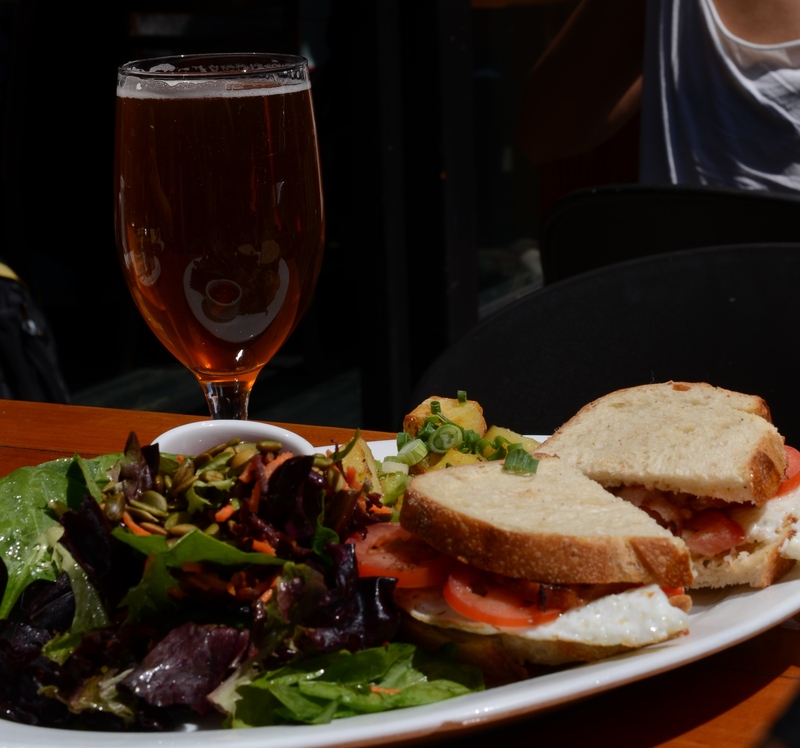 The beer that would pair up with this sandwich would be The Commons “Madrone”, which is a hopped amber saison. 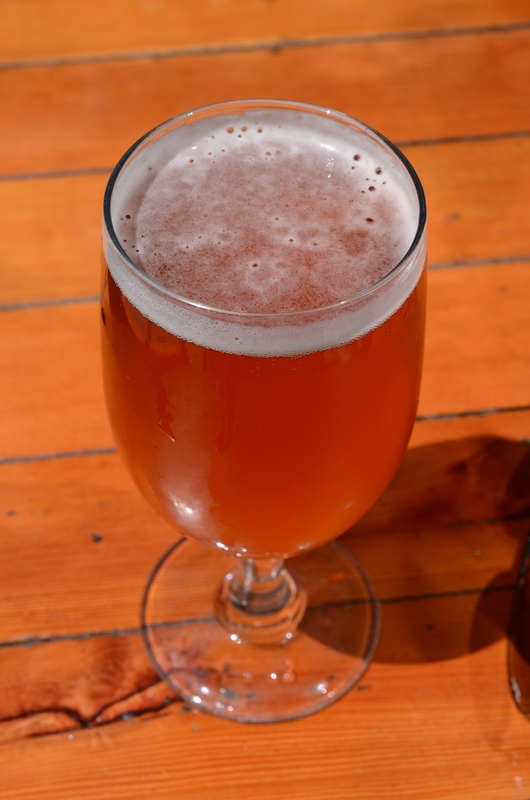 The Madrone is a fantastic beer that pours a nice amber colour with a thin white head. It has a nose of tropical fruit and citrus, the first taste is a bit tart which something I detect in most saison’s, but you also get a big west coast hop flavour on the finish. The Commons say this is probably the closest thing to an IPA you’ll see from them. This beer paired up real nice with the Alibi breakfast sandwich, as it cut the fattiness from the bacon, matched up great with the acidity from the tomatoes and still maintained its own distinct flavour profile when sipped after bites of the sandwich. So, if you’re looking for a simple, but spectacular breakfast sandwich paired up with a really interesting and unique saison, then head to the Alibi Room for This Sandwich and That Beer. 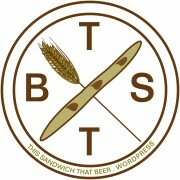 Check out www.alibi.ca and www.commonsbrewery.com for more info, follow them both on Twitter @alibiroom and @commonsbrewery, and follow me @TSTB_blog. Head to Legacy Liquor Store to find some of The Commons brews on their own. Check out my radio feature on “Just Here For The Beer” radio on Team 1410 AM in Vancouver July 27th at 12pm PST. Also look for my new column in the just released “BC Craft Beer News” at your favourite craft beer focused outlet.